I'll be honest and say I didn't take a whole heap of photos at the weekend - I figured that blogs would be saturated with write-ups and reviews and that I wouldn't be able to add very much to it at all. 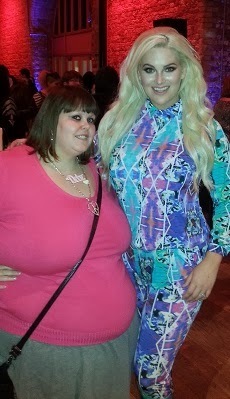 However - I did have a fab time - Thanks to British Plus Size Weekend for the competition that allowed me to win tickets - YAY! When I got there I wandered around the market place which was fab. It was a little quiet but there were plenty of stalls to browse. It was so lovely to chat to shops that I speak to on Twitter etc in the flesh. Stalls at the market place included Syreeta Badu, Ms SVG, Slink, Live Unlimited, Simply Be, Taking Shape, Topsy Curvy, Evans, Tutti Rogue, Apples and Pears and loads more that I have probably forgotten - sorry! 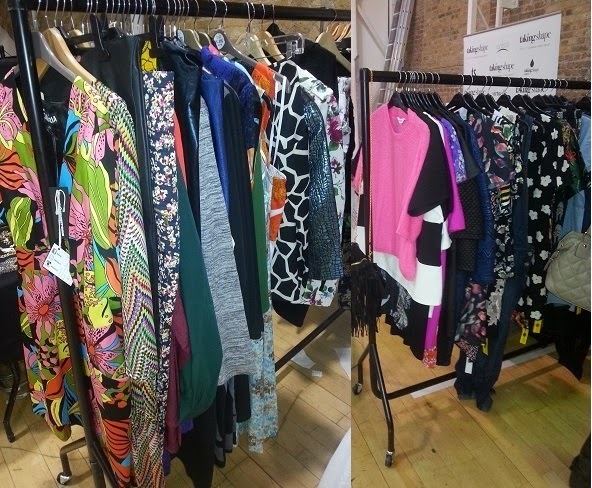 The stalls were set out with plenty of room so you could easily browse through what was on offer and see new collections from brands - YAY! 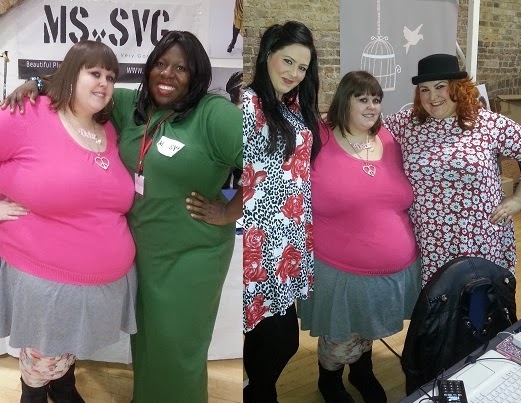 Me with Team Ms SVG and Team Topsy Curvy - all such lovely, lovely ladies!! Who said plus size fashion has to be boring!? After that I headed down to the 4pm fashion show - which was amazing! An hour and a half of seeing different brands showcase their goods - past, present and future. 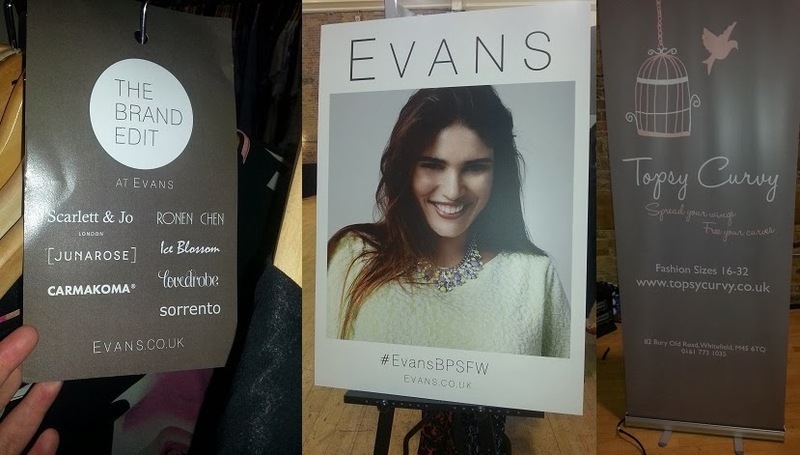 I didn't get any good pics but if you look on Twitter under #BPSFW you'll see loads I am sure! Before the show I did manage to have a quick chat with Whitney from America's Next Top Model - she was lovely! 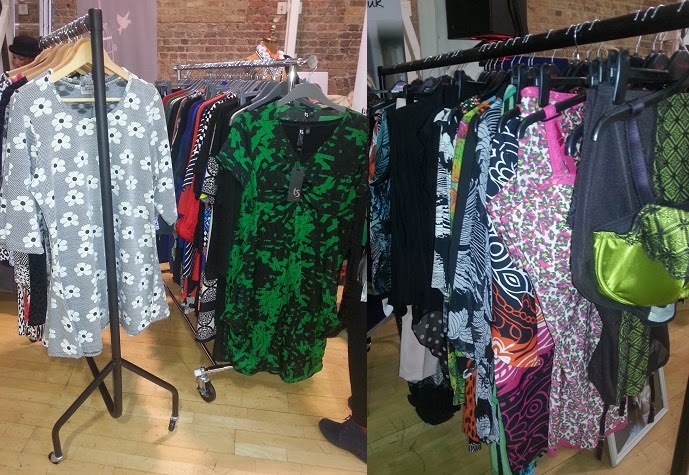 I was unsure about attending British Plus Size Fashion Weekend, because of reports I had heard of the previous year - but I was glad I did. It was really lovely to catch up with lots of blogger babes, meet the brands and of course see the cat walk -I'll definitely go back next year. 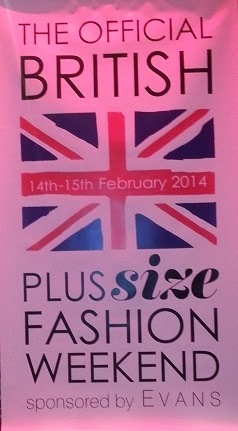 This year was only the 2nd annual British Plus Size Fashion Weekend, so I'll be excited to see the event grows! Did you go, what did you think?